Are you looking for good petroleum engineering schools where you can pursue your education? There are many top notch schools all over the world that are noted to produce successful petroleum engineers. This article aims to guide you in choosing the best among the top petroleum engineering schools in the world. The Petronas Company in Malaysia established a university that is now known as one of the best petroleum engineering schools in Asia. Universiti Teknologi Petronas is located in Perak, Malaysia. Graduates of this school are given the choice to work at Petronas which is Malaysia’s national oil company. The school is also known for its premier academic and training in petroleum engineering. Heriot-Watt University is one of the best schools in the field of petroleum engineering which contributes in producing the best petroleum engineers around the world. The school is located in Edinburgh, UK. It is considered as one of the oldest institution in higher education.The university has expanded and added more campuses located in Orkney Dubai, Scottish Borders and in Malaysia. The Petroleum Engineering Department at Heriot-Watt University is considered one of the top three around the world. All of the students are completely exposed to different works and research in petroleum engineering. 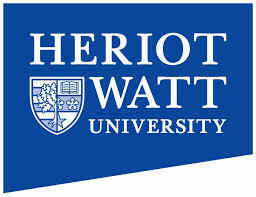 It is also important to note that Heriot-Watt University is famous for its economic hydrocarbon recovery. Curtin University is considered as the largest university located in Western Australia as of 2012. Curtin University is one of the universities ranked in the Shanhai Jiao Tong Annual Ranking of World Universities in 2011. The university was also included in the world university rankings in the Times Higher Education 2011-2012. Being a member of the Australian Technology Network, Curtin University is active in terms of research in academic and practical fields which includes Resource and Energy. The Petroleum Institute which is located in Sas Al Nakhl, Abu Dhabi, United Arab Emirates is known worldwide for its petroleum engineering courses, and bachelor’s degrees such as Metallurgical and Polymer Science and Petroleum Geosciences. Learning is easy as the university houses laboratories which are modernly designed with complete state-of-the-art technologies. 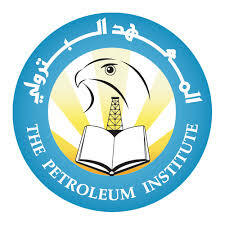 The Petroleum Institute is accredited by the United Arab Emirates’ Ministry of Higher Education and Scientific Research. 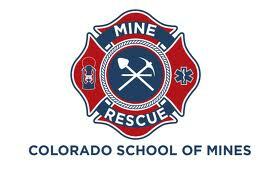 The best among the top petroleum engineering colleges around the world is the Colorado School of Mines. The university is known for its research devoted to applied science and engineering. In this school, students are well trained and motivated to be the best petroleum engineers in the world. They are provided with the best and modern technologies for learning and training, ensuring that the school consistently produces the best petroleum engineers every year. Choosing any of the top petroleum engineering schools is your ticket to a promising career. With the list shared with you, going to any of the schools listed will ensure that you are getting quality education. It may seem a bit overwhelming if the tuition is too much. But then again, this is a good investment for your future. Did we miss any top petroleum engineering schools in our list? We would love to hear from you.